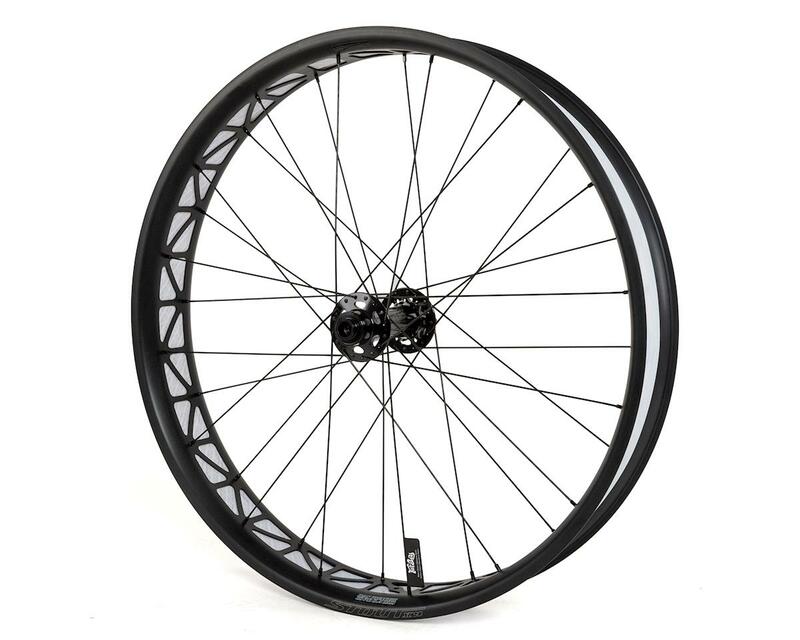 The Stout XC 90 Pro front wheel features a 90mm-wide alloy rim that's designed for use with the RockShox Bluto fork, and a stiff, reliable 15x150mm thru-axle. 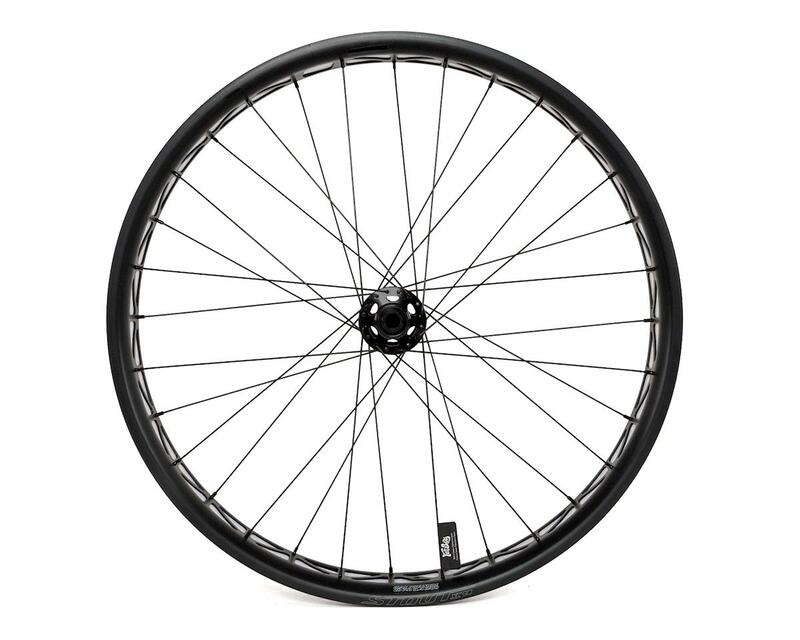 And to ensure that the wheel is up to perform in any condition and over any terrain, the wheel includes sealed cartridge bearings and butted spokes. So it's safe to say that this wheel's balance of lightweight and durability makes it well equipped to perform on dirt, sand, and snow. Alloy front hub body with two sealed cartridge bearings, 150mm width, and 15mm thru-axle for RockShox Bluto fork compatibility. Nylon rim strip w/ hook & loop closure is light, durable, and easy to maintain.